All too many airlines did not come out of 2018 financially unscathed. Rising jet fuel prices and increasing global competition left many broke, in debt, and even closing down as a result. It’s not just been the little carriers either; Air France-KLM reported massive losses earlier in the year, Cathay Pacific are struggling and even teacher’s pet Norwegian have been faced with financial strife. Could the sun finally be setting on Jet Airways? Now it seems we could be on the brink of another airline casualty; the first for 2019. Struggling Jet Airways apparently have only enough cash for another month of operations. As well as missing debt payments and not paying their staff, now lessors are threatening to take back their planes if the carrier doesn’t come up with some serious cash, and fast. Jet are relying on Etihad to bail them out of their difficult situation, as talks have been ongoing about the Abu Dhabi carrier increasing their stake in the airline for some time now. However, Jet could be in for a nasty surprise, as Etihad are showing their own signs of financial struggles. Jet Airways has been hanging by a financial thread for some time now. The June quarter showed them posting a loss of $185m, and overall in 2018 the airline came out at least $1.2bn in debt. Reportedly, they announced to employees that ‘drastic measures’ were needed to keep them afloat, mainly through fleet simplification and payroll savings. Back in November, they failed to pay pilots their full salary, leading to refusal by their employees to work their usual overtime. As a result, flights were cancelled from Chhatrapati Shivaji Maharaj International Airport (CSMIA) in Mumbai with no notice, leaving hundreds of passengers stranded. More recently, the airline defaulted on debt payments on January 2nd, reigniting concerns that they could become financially unviable. Although previously bailed out by Boeing, their angel investor was shaping up to be Etihad. 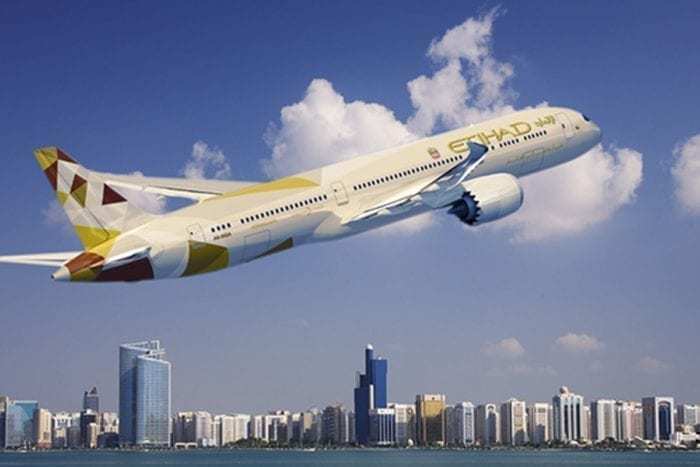 Their 24% share in the airline was further bolstered by an additional $35m cash injection last October, as Etihad bought out the entire Jet Privilege frequent flyer programme. However, now it seems their angel is falling fast, and could pull out of the rescue deal in order to focus on their own failing finances. Just a couple of days ago, Simple Flying reported that Etihad were planning to lay off 50 of their pilots in a bid to cope with increasingly stressful financial times. They are also cancelling an order for 10 Airbus A320neo aircraft, as they aim to cut costs by 10% over 2019. In 2017 they lost $1.5bn, and the year before $2bn. Now Air Berlin’s insolvency administrator wants a piece of the Abu Dhabi pie too, currently leading a $2bn lawsuit against the carrier. As well as laying off pilots, they’ve been paring back services too. Complimentary chauffeur service is gone, Style & Shave salons at Abu Dhabi airport are gone, and, shock horror, no more free pyjamas in business class. Various marginal routes have been scrapped, but the carrier still has one of the biggest fleet backlogs in the world, with more than 100 A350s and numerous 777s and 787s on back order from the manufacturers. Chief Executive Officer Tony Douglas has insinuated that more cuts are to come. A letter sent to staff outlined how ‘extremely challenging’ the global economy is right now, and how the company needs to implement changes to provide ‘vital efficiencies’. What’s going to happen to Jet Airways? The situation at Jet Airways is pretty dire. The airline reportedly has enough cash to get through just another month of operations. As well as being late paying staff, lessors and vendors, the latest blow has come as lessors threaten to take back their planes. 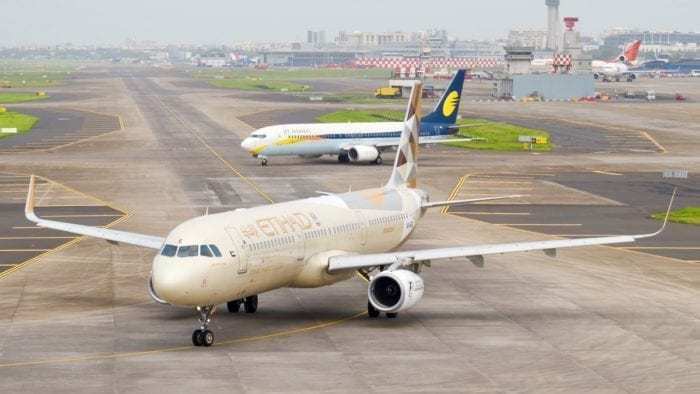 Rescue talks between Etihad and Jet at the end of 2018 were a light at the end of a tunnel for the Indian carrier. 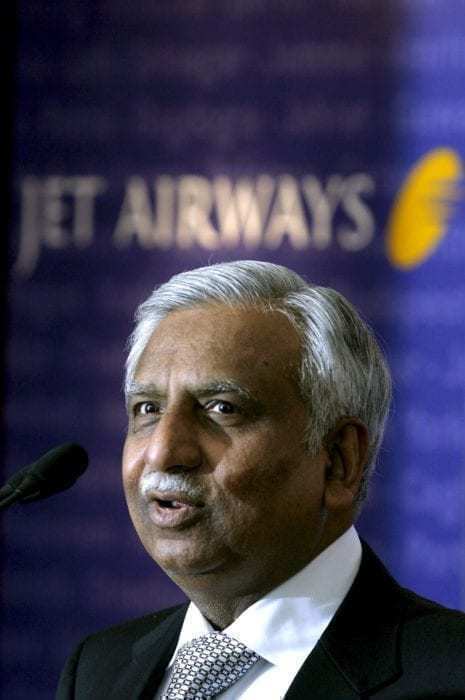 However, it seems those talks have now stalled, as a result of Etihad’s demands that Chairman and founder Naresh Goyal step aside from his management role. They have, according to Bloomberg, been in preliminary talks with Indian giant Tata Group to save the beleaguered airline. 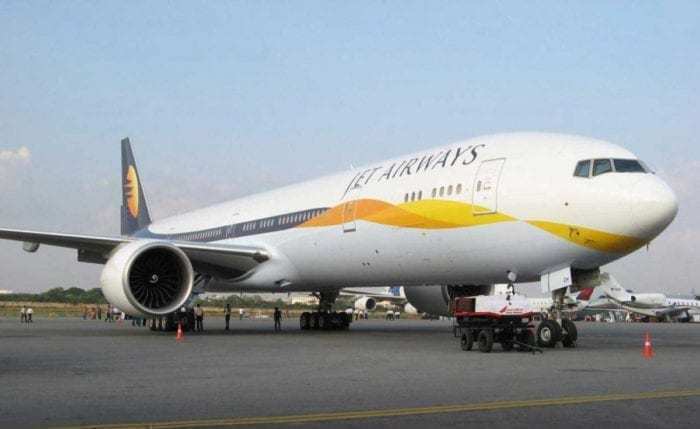 According to sources, creditors are willing to extend as much as $500m to Jet Airways if Goyal and Etihad put in a similar amount, but with talks stalled and no firm offer on the table from Tata, time is running out for Jet. Even if Etihad were in a position to increase their stake (which, to be honest, they really aren’t) Indian law prohibits them from owning more than 49% of the company. It remains to be seen whether this would be enough to bail Jet Airways out of trouble, and whether Goyal is willing to put his ego to one side for the sake of his airline.